last year created by TBWA Sydney. GoDaddy’s vice president and managing director for Australia and New Zealand, Tara Commerford, tells AdNews the first campaign did deliver strong business results with lifts in brand search share, engagement and ultimately an acceleration in new customer growth, but has now chosen to work with With Collective “on a project basis”. “We knew that we were going to take a new campaign to market this year, so we looked for an agency we thought would be the right one to help us,” Commerford says. 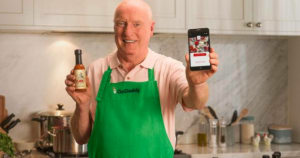 The 30-second TV ad spot features TV legend Ray Meagher telling the story of how Ray ‘actor and entrepreneur’ turns his love for making hot sauce into an online business with his new website from GoDaddy. Commerford says the thought process to take the ads in this direction was very much an extension of its initial messaging about ease of use. “We wanted to bring trust, credibility and a strong ambassador to the brand with mainstream appeal – Ray was the perfect fit,” she says. The TV launched last night and is supported across out of home (OOH), radio, social, PR, digital and performance marketing channels. Commerford says OOH is a new addition to its media mix as it wants to harness the awareness and appeal that Ray brings to Australians. “We’re building on our current marketing strategy as we know it’s working after almost three years of being in-market,” she says. The campaign shows that building a website with GoDaddy "is simple", even if you’re not tech savvy – like Meagher. The $12 ‘Flamin Hot Sauce’ is even available for purchase from www.raysflaminhotsauce.com.au, while stocks last, with all proceeds from the sales of the hot sauce donated to charity. While the TVC only launched yesterday, 'unbranded seeding' of the business idea of the Flamin Hot Sauce had been rippling through social media channels for the last week. So far it has seen more than one million impressions and more than 500,000 video views. In just the first hour of campaign launch, it has sold more than 200 bottles - “so be quick if you want to get one”, she adds. Given the sauce is a bi-product of an ad campaign, does it need to taste good? “It tastes fantastic - thanks to our GoDaddy customers ‘The Handsome Devils’ for producing it for the campaign. They knew what Ray wanted from a hot sauce and he thought it was flamin’ delicious,” Commerford says. 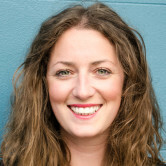 Last month former brand lead at eBay and Marketing Academy graduate, Tracy Hall, joined GoDaddy as marketing director for Australia and New Zealand. Sydney-based Hall is responsible for expanding GoDaddy’s global marketing efforts while ensuring its translation locally. GoDaddy is the largest domain registrar in the world and is know for creating some risqué TV ads in the US, many of which have aired at the Super Bowl. 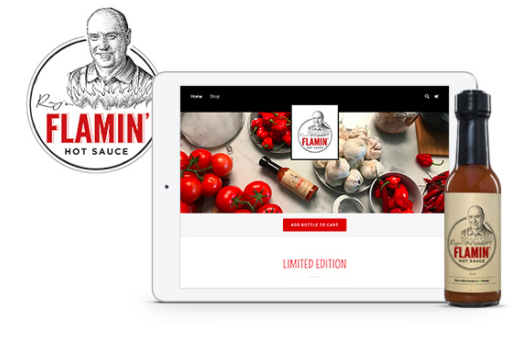 GoDaddy has enlisted With Collective for its latest national marketing campaign which sees Home & Away star Alf Stewart (Ray Meagher) create and sell his very own Flamin Hot Sauce. It is the second Australian campaign from the NYSE-listed web domain giant, with the first push in March last year created by TBWA Sydney.